Inter chief executive Giuseppe Marotta has denied there is a "split" with deposed captain Mauro Icardi. The striker hit out at his treatment at the hands of the Serie A club with an explosive social media post this week. 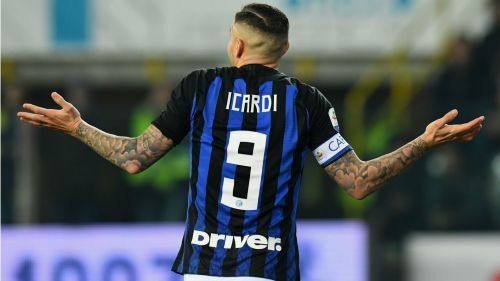 Icardi, who has been linked with a move to Real Madrid, was stripped of the Inter captaincy last month and has not played for the club since being replaced by goalkeeper Samir Handanovic. "I do not know at this moment if there is love and respect towards Inter and towards me by some who make the decisions," he wrote in a lengthy Instagram post. The Argentina international has also used social media to post photographs where he is receiving treatment for a supposed injury. "We have already said a lot about the Icardi topic: today we are in Cagliari to face an important game and the club's focus is all on the pitch," he told Sky Sport Italia. "These are internal dynamics. I don't feel there is a need to fix anything, as there has been no split. There is absolutely no split. "I prefer to speak of Cagliari, since we are already angry after the draw against Fiorentina. "I never talked about the possible sale of Icardi. Football is a team sport and not an individual sport. "I can say that we are very united: club, leadership and coach. We only care about the growth of Inter."